I have found the perfect baked ziti to match my tastes. It is truly an amazing pasta dish. 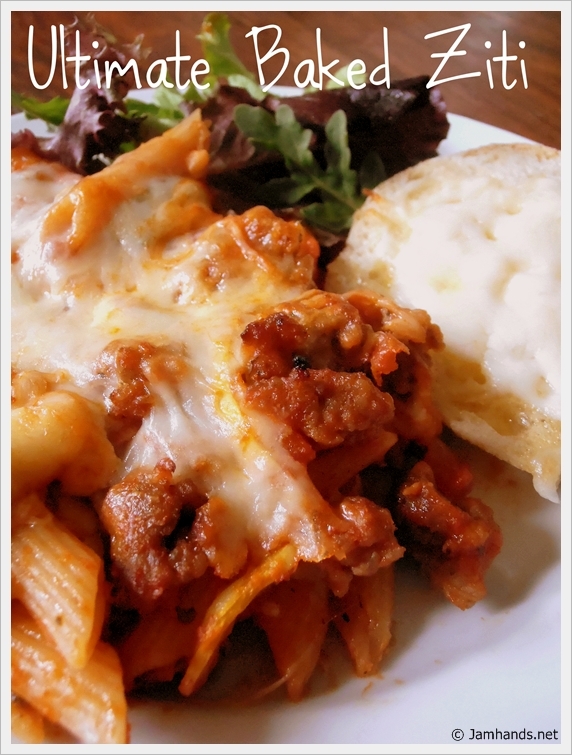 In the past, I was never big on cottage cheese or ricotta in baked pasta dishes. Who knew sour cream was such a tasty alternative? I highly recommend using sausage instead of ground beef. That is one thing I will not budge on. I believe that an Italian sausage gives greater flavor and texture than ground beef. Okay, ready for the recipe? 2. In a large skillet, brown onion and sausage over medium heat. Set aside. Saute the remaining vegetables until lightly browned. Combine the pasta, spaghetti sauce, vegetables and sausage in an extra large pot or bowl. I am putting this on my weekend grocery list and I'm going to give it a try. I've never used sour cream in my baked ziti - always have used ricotta cheese. I'm curious about it and I'll be eager to try it out. You make it sound so easy and delicious!! 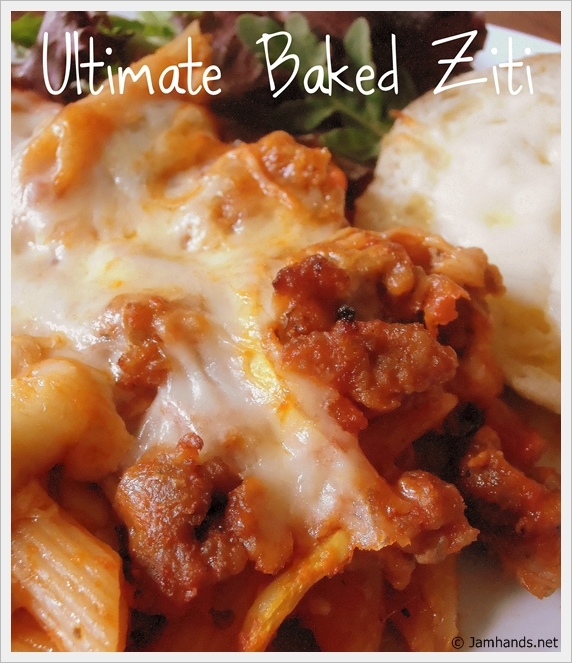 This is my FAVORITE baked ziti recipe! This sounds really delicious! I will definitely have to make this!! And I agree with you- Italian sausage makes such a HUGE flavor difference!! Thanks for a yummy recipe, Ali. I made it tonight and posted about it with a link to your blog. Thanks again - I will definitely make it again. I enjoy your blog so much and left you a small token of appreciation at the good life! We love this dish it's in the oven right now.